Lily Bollinger knew what she was talking about. 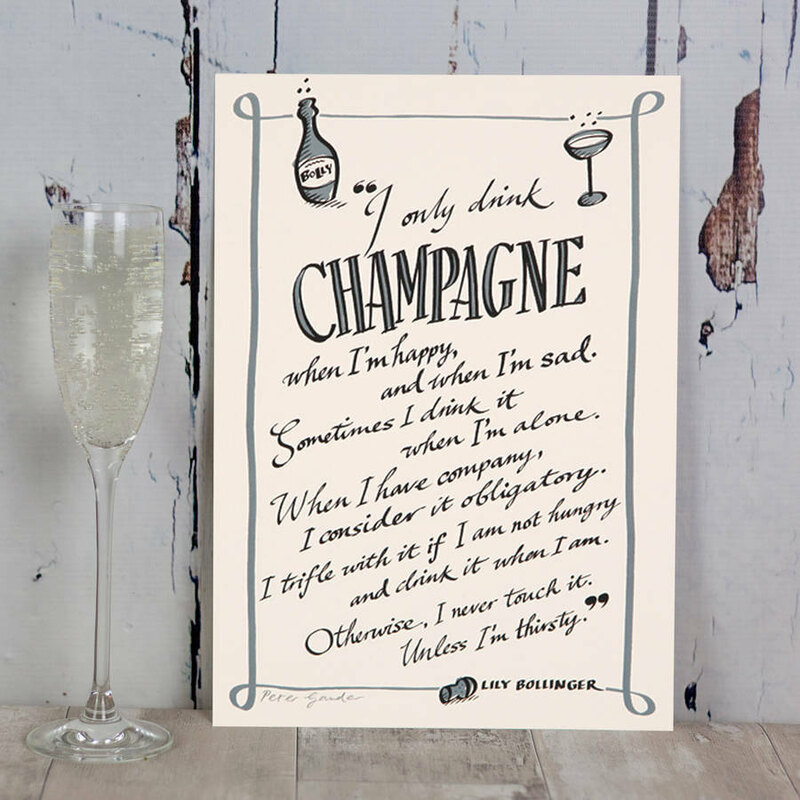 We love her quote so much, we created this ‘I only drink champagne’ print to celebrate! 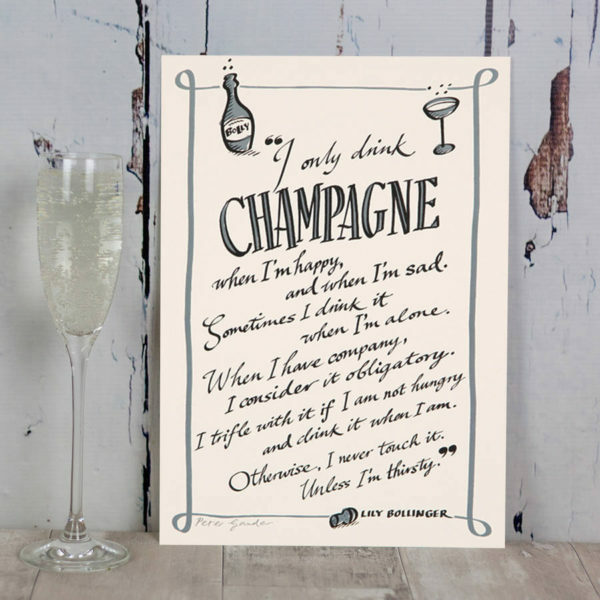 Champagne, as Lily Bollinger so eloquently puts it, is indeed a drink for all occasions! We’ve written out her quote in beautiful hand-drawn typography, reproduced in a lovely grey ink on high quality card. 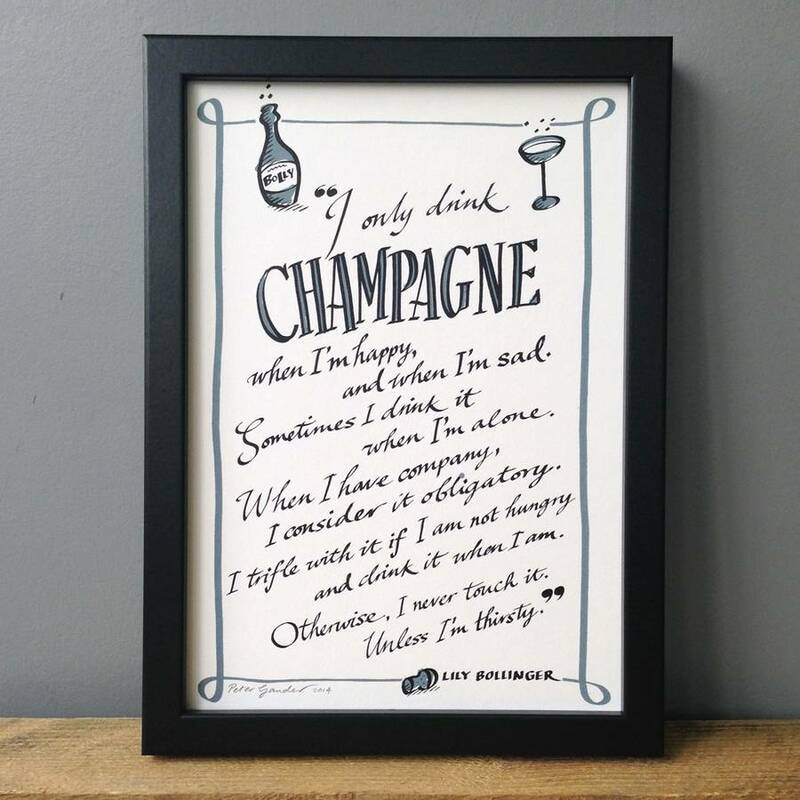 This print makes a wonderful (and cheeky) gift for any Champagne lover, or for those celebrating a special occasion, such as a wedding, engagement or big birthday. 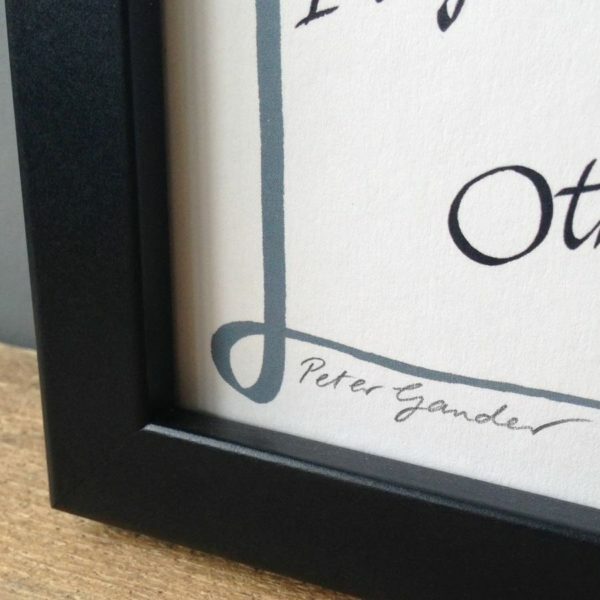 We offer a 22mm wide flat shaped black/white coloured frame. Made from real ayous wood with a stain finish. Also available as an apron or a tea towel. Please see our full range for details.